“Garam Cinemas LLC” proudly announces the acquisition of overseas distribution rights of the Telugu comedy, action and romantic thriller“Okka Ammayi Thappa” starring Sundeep Kishan and Nithya Menenin leading roles, along with many other prominent actors like Ravi Kishen (Race Gurram fame) as main antagonist, Ajay, Prudhvi (30 years industry ), Tagubothu Ramesh, Saptagiri etc. Sundeep Kishan who always encourages new kind of ideas and Nithya Menen who is very talented and very picky about good stories, being part of this film shows that this movie is going to be worth watching and wonderful experience for all the viewers. “Okka Ammayi Thappa” is directed by talenteddebutant Rajasimha who worked as writer/assistant writer for many Super Hit movies like Sankar Dada MBBS (dialogues like infront crocodile festival), Bommarillu and recently Gona gannareddy’s role in Rudramadevi. 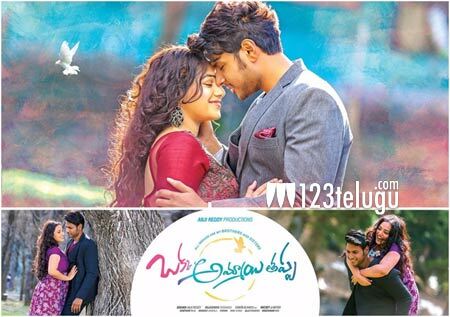 Anji Reddy garu produced “Okka Ammayi Thappa” under the banner “Anji Reddy Productions Banner”. Mickey J Meyer, who is in great form and whose melodies are always soulful, composed music for this film.The film’s music has already become big hit on you tube with 100k views within 4 days of release. Famous cinematographer Chota K Naidu worked as a cinematographer. The film trailer was received very well and has already crossed446k viewsand 2000 plus likeswith-in 4 days from it’s release which is not a small feat. This speaks volumes about this film. “Film is a Super Hit” said Nithya Menen in her speech which attracted her fans big time. The film is being distributed in the USAthrough garamcinemas.com, aninnovative platform that made film exhibition in the USAsimple, accessible and transparent. garamcinemas.com, an extremely user friendly mobile platform, provides all the information about film exhibition and also allows to buy the exhibition rights online. Please visit the site to know how to purchase exhibition rightsin your local theatersand to be a part of this unique opportunity. Our heartfelt thanks to Anji Reddygaru for this opportunity and we are excited to bring this family entertainer to Telugu movie lovers in the USA.The film is all set to hit silver screens across the world in June, 2016. If you are interested in buying screening rights of the theatre of your choice, please visit garamcinemas.com.